Mini tiller is the new product in order to meet the needs of the masses users, with reference to the lasted machine. The product produced strictly with the CE standard production and the IS09001. The product has specific reasonable structure, superior performance, convenience and flexibility, good reliability, long life and other advantages. The tiller can works in plains, hills, mountains for rotary tillage fertilizing farmland homework, but not suitable for rocky land. 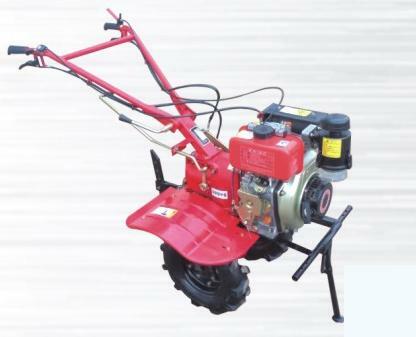 Micro tillage machine is composed of power drive and rotary cultivator. Matched power is basically diesel engine, gasoline engine. According to the actual need, the users can also choose other diesel engine that is not greater than the specified value. 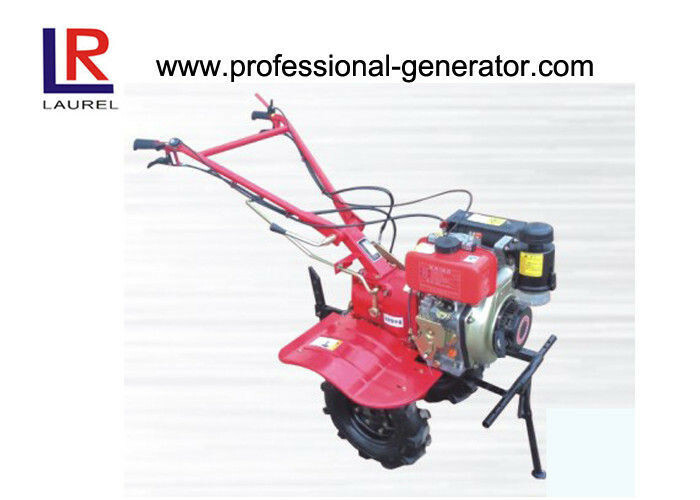 This machine can works in hills, mountains, in upland and paddy fields, tea plantations, orchards, flower and vegetable greenhouses and small land area carries on the demand of the rotary tillage soil preparation and so on, you can choose different matching machine according to the needs of production field operations.